• Dina Powell is set to leave the White House. • Trump says government won’t go easy on Wells Fargo. • Where’s the wage growth? • Being a mogul friend of Trump may not get you what you want. 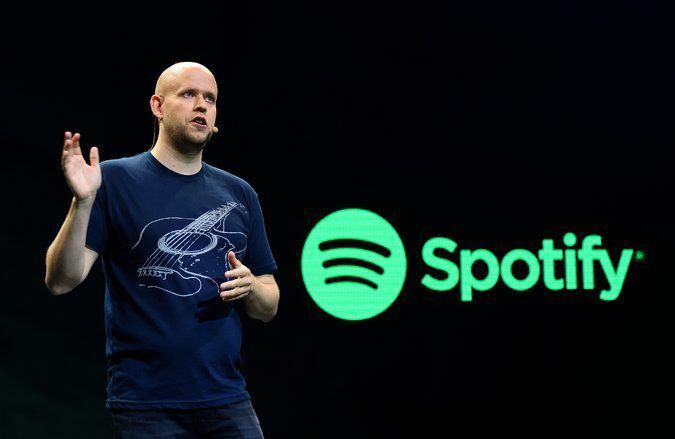 • Spotify finds a new partner ahead of a public listing. Like what you see? Get the DealBook Briefing in your inbox each morning. Here’s the sign-up. Dina Powell is set to leave the White House. Dina H. Powell, a deputy national security adviser to President Trump and a key player on a variety of foreign policy issues since the early days of his administration, will step down early next year, the White House said on Friday. 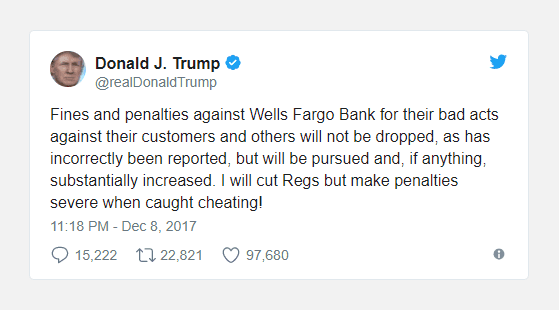 Trump says government won’t go easy on Wells Fargo. Since Mr. Trump put Mr. Mulvaney in charge of the consumer watchdog, he has pushed the bureau in a “new direction — one that takes a lighter touch to regulating the financial industry. The reversal is part of a broad push by the Trump administration to unfetter companies from Obama-era regulations,” The New York Times reported. 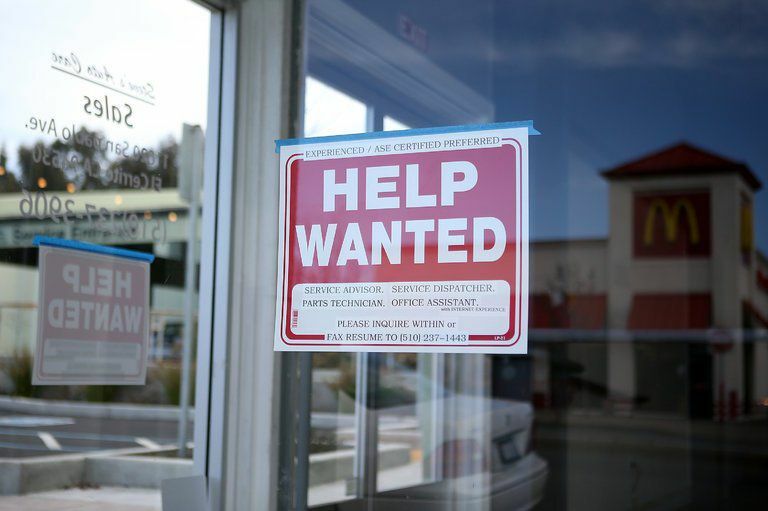 The United States economy added 228,000 jobs in November, above the 200,000 expected by Wall Street economists, according to Bloomberg. The unemployment rate was unchanged from October at 4.1 percent. Average earnings grew 2.5 percent over the past year. Being a mogul friend of Trump may not get you what you want. 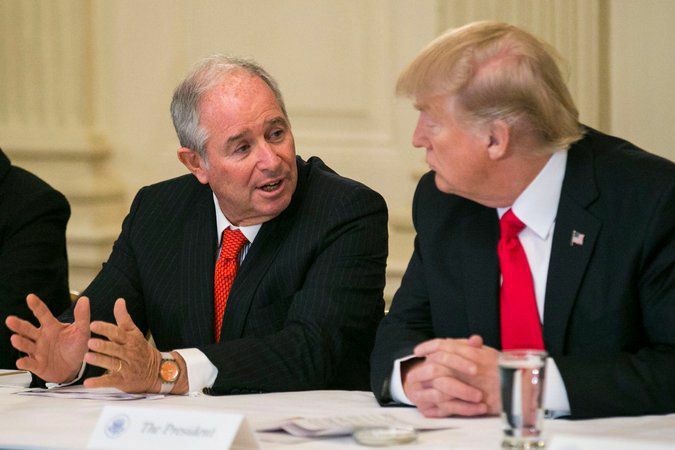 Steve Schwarzman and Richard LeFrak privately made the case to President Trump that removing the deduction for state and local taxes from federal tax bills would hurt New York’s economy. Paul Singer and Ken Griffin want to change a provision that prevents hedge fund executives like themselves from taking advantage of a lower rate for pass-through partnerships. The president told some of his billionaire friends over the weekend that as the Senate and House reconcile the tax bill, he’d like to see congressional negotiators lower the top rate so that taxpayers in states like New York and California don’t see an overall tax increase, given that state and local deductions won’t be allowed. Whether he was serious or just trying to placate his friends remains unclear. So far, it isn’t clear whether being Trump supporters will help their causes. The hit to New York City: Ken Moelis told Bloomberg that the elimination of so-called SALT deductions could meaningfully shift business out of New York and to low-tax states like Florida and Texas. Spotify finds a new partner ahead of a public listing. And it’s a division of one of China’s biggest internet giants. Spotify and Tencent’s music unit, known as TME, agreed to buy stakes in each other, forging a potentially crucial bond for the streaming giant ahead of its potential new life as a publicly traded company. Spotify is still weighing whether to list its shares in a direct listing, avoiding the complex process of an I.P.O. But being a public company means that investors will want to see impressive growth. Forming a partnership with Tencent helps give Spotify an important step up in that regard, by giving it a toehold in China. TME has also been the subject of speculation that it too could go public. Alexion’s stock jumped at the market open. Shares in the biotech are up 6% this morning, after Michael broke the news yesterday that Elliott Management is pushing for changes at the company. 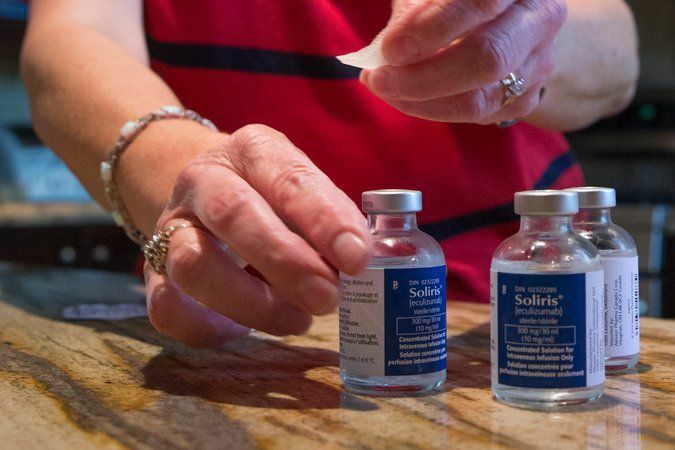 Alexion’s main drug, Soliris, is used to treat two rare blood disorders. The move again shows the power of activist investors. But the drugmaker will prove to be an interesting test for Elliott. The hedge fund is taking an iron-fist-in-a-velvet-glove approach. Over the past several months, Elliott executives have met with Alexion to make a variety of suggestions, from setting higher financial performance targets to considering exploring strategic alternatives. 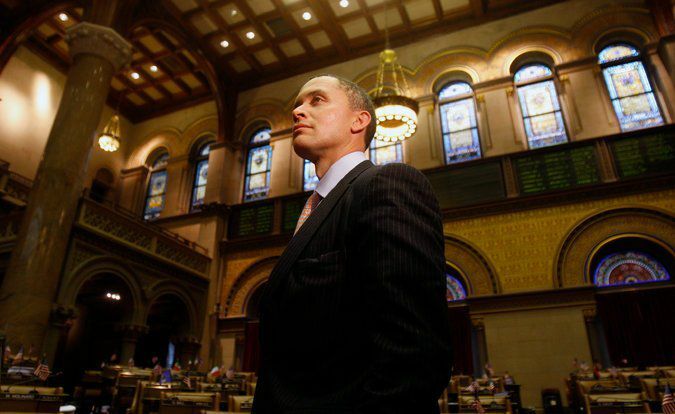 But the activist firm is prepared to take a number of steps if it feels that the company isn’t complying, including running a proxy fight for board seats. A big question: How much more can Alexion do? Analysts have praised the company and its management team. “I absolutely think they’re doing everything that investors could ask of them,” the research analyst Geoffrey Porges of Leerink told Michael. Another big question: If Alexion were for sale, who would buy it? Many biotech companies would be interested, especially since Soliris treatments cost patients hundreds of thousands of dollars a year. And if Alexion’s next drug, ALXN 1210, works out in clinical trials, it would be patent-protected for another 20 years. Extra credit: Fortune took a look at Elliott and some of the tactics it uses in its activism, from private investigators to hard-nosed negotiating. 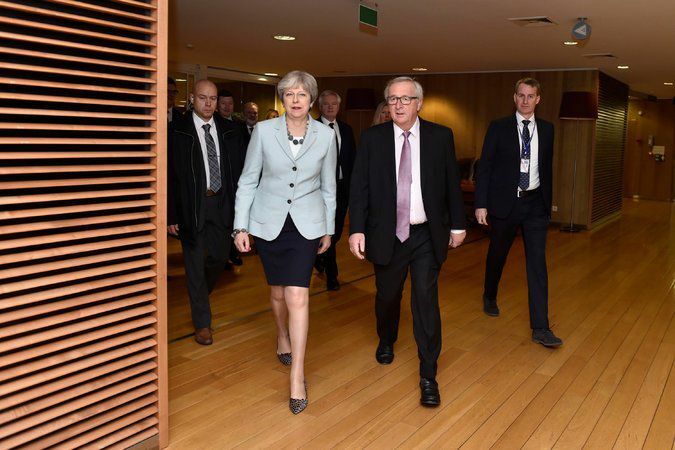 After several weeks of drama, Britain and the European Union have reached an important accord that will allow them to advance to the next stage of discussions. • An agreement that Britain will contribute to the E.U.’s budget for the next two years and commit to paying its share of any future liabilities that arise before 2020, even if they come due in subsequent decades. • A path for E.U. nationals living in Britain to become permanent residents. • A compromise on the jurisdiction of the European Court of Justice over both enforcement of any Brexit deal and the rights of E.U. citizens living in Britain. • A compromise on the border controls between Northern Ireland and Ireland. The pound rose a little, but trading was volatile. What’s next: The European Commission will recommend that E.U. leaders proceed to the next stage of Brexit talks, which are expected to begin early next year. Then, Britain will finally begin negotiations over a new trade deal with the bloc. The latest in sexual misconduct news. The antitrust court battle of the decade begins March 19. That’s when the trial for the Justice Department’s lawsuit to block AT&T’s bid for Time Warner will begin. The judge presiding over the trial, Richard Leon, said that the trial would likely last three weeks. 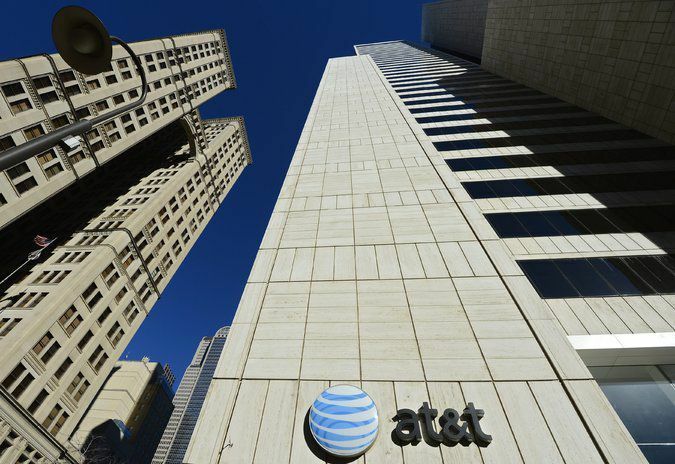 But while AT&T has said that its merger agreement with Time Warner would expire on April 22, Judge Leon suggested pushing that back, since he wouldn’t reach a verdict in time. Bitcoin is up! No, it’s down! It passed $16,000 yesterday — and, on some exchanges, reached $20,000. As of this morning, it hovered around $15,000. 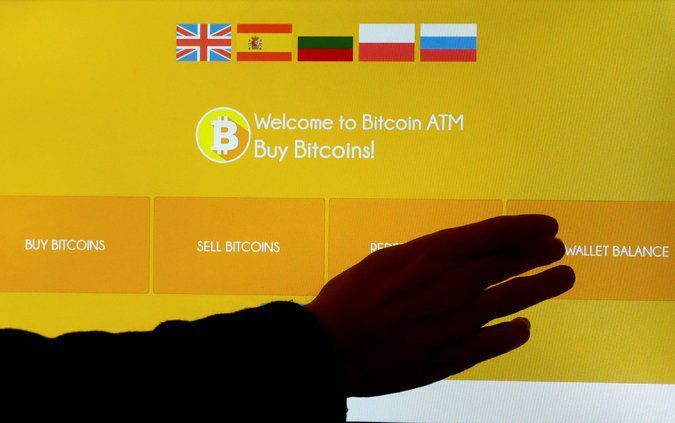 Bad stuff has happened to Bitcoin this week: There have been security breaches, a note of skepticism from a major online retailer and warnings by Wall Street analysts. Digital currency enthusiasts haven’t cared. What do real estate tech and food delivery have in common? Companies in each industry are poised to take money from Masa Son’s SoftBank, and specifically from its $98 billion Vision Fund. Compass, a real estate listings service, said yesterday that it had raised $450 million from the Vision Fund at a $2.2 billion valuation — just a month after raising $100 million from Fidelity. 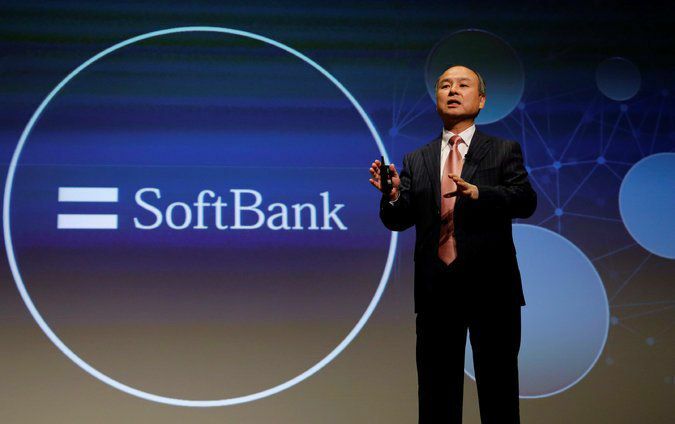 SoftBank hailed the investment as the biggest ever in a real estate technology company. Also yesterday, Recode reported that SoftBank was in talks to invest about $300 million in DoorDash, one of the big food delivery services. Worth pondering: Both companies already compete in highly crowded industries, so it will be interesting to watch whether SoftBank showering them with riches helps them vault over more established rivals. Huh: Bloomberg reported that the Vision Fund was in talks to invest in two companies owned by the Chinese insurer Ping An. And Dan Primack of Axios reported that SoftBank was weighing an investment in Wag, an on-demand dog-walking service with a history of controversy. Saudi Arabia’s crown prince went shopping. 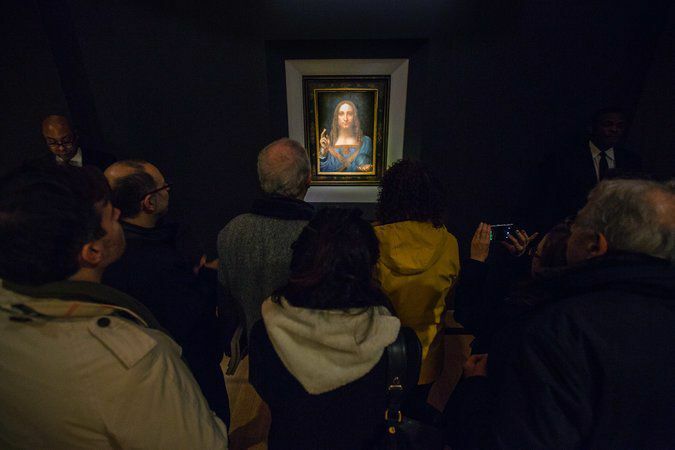 Prince Bader bin Abdullah bin Mohammed bin Farhan al-Saud executed the purchase of Leonardo da Vinci’s “Salvator Mundi.” But the true buyer was Crown Prince Mohammed bin Salman, who used his relative as a proxy. A busy shopper: A little over a year ago, Prince Mohammed spent about $550 million on a yacht. Each weekday, DealBook reporters in New York and London offer commentary and analysis on the day’s most important business news. Want this in your own email inbox? Here’s the sign-up. You can find live updates of DealBook coverage throughout the day at nytimes.com/dealbook. Follow Andrew Ross Sorkin @andrewrsorkin, Michael J. de la Merced @m_delamerced and Amie Tsang @amietsang on Twitter.